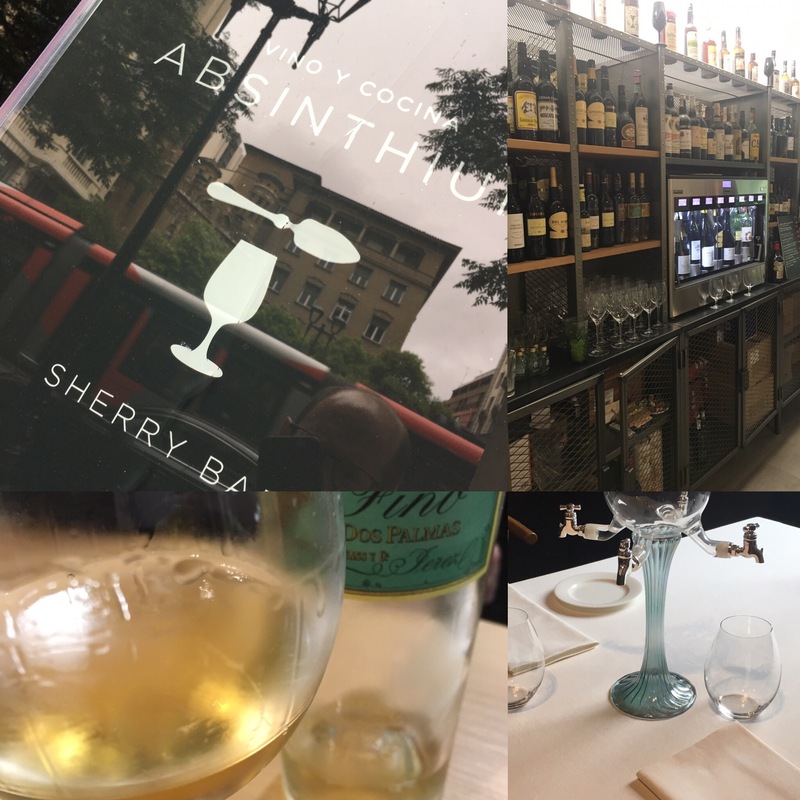 Absinthium is an obligatory destination for any sherry lover – or wine lover for that matter – in Zaragoza, and was in fact my first stop on arrival. Top class – a really big selection and some cracking, classic wines on the shelves and in the fridge and the sommelier, Jesus Solanas, really really knows his business. Not just sherry on offer – some really nice, elegant wines from around the world available by the glass, and as the name suggests it is also one of the few places you can enjoy absinthe – even out of the tap as per the old school. An absinthe seemed a bit strong as a pre prandial snifter so I stuck to the healing wine and it was terrific – right in its prime.